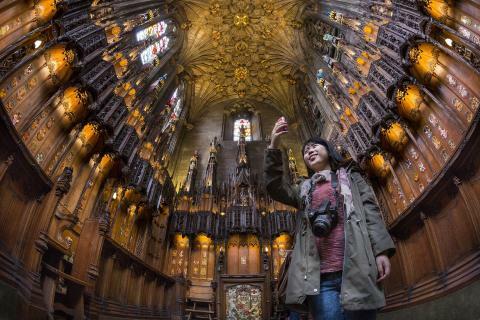 Millennials are set to be the driving force of growth in Chinese travel to Scotland, it has been revealed, as the national tourism organisation embarks on a nine-day travel trade mission to China. Chinese visitor numbers to the UK are expected to rise by almost half, from 260,000 to 384,000, over the next five years, VisitBritain predicts. 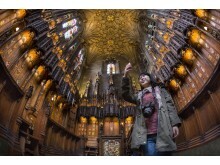 Scotland currently accounts for almost a fifth (17%) of all Chinese visitors to the UK. The rise in visitors from China to Scotland and the UK is expected to be driven by the young adult traveller. Research shows that the average age of Chinese visitors to the UK is younger than the average age of all inbound travellers*. In 2016, half of Chinese visitors to the UK were aged between 25 and 44*. With global market researchers, Phocuswright, estimating that 60% of international Chinese travellers are aged 18-34 years**, and 57.3 million international outbound visits recorded from China in 2016, millennials are seen as a growing target market. VisitScotland embarked on a nine-day Chinese development mission this week, joined by 11 Scottish businesses, which will involve a comprehensive programme of tailored meetings with major Chinese tour operators and Scotland training for their sales teams. It began as the Scottish Government launched the official programme of events for the 2018 Year of Young People. The VisitScotland mission, which is also supported by Scottish Development International, will visit Shanghai – which accounts for 17% of outbound travellers from China – Chongqing in the south west and Guangzhou. 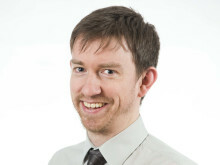 Following the mission, VisitScotland will join a number of its partners at Destination Britain China, a three-day tourism showcase organised by VisitBritain in Guangzhou, which provides a unique platform for British destinations, products and suppliers. China’s growing wealth, the growth in travel to Europe and the UK, as well as Scotland’s appeal on the back of assets such as Harry Potter and, most recently, Outlander, has seen tourism from China to Scotland grow steadily over the past decade. Connectivity has also been enhanced in recent years by airlines such as Qatar, Etihad and Emirates providing one-stop connections between China and Scotland via the Middle East, and Turkish Airlines and Finnair also competing with British Airways, Air France and Lufthansa for a share of the market. Research shows Edinburgh, Glasgow and Inverness to be the top locations in Scotland visited by Chinese travellers. Last year, as part of its ‘China Ready’ initiative, the Scottish capital launched Scotland’s first-ever destination campaign on influential Chinese social media sites Weibo and WeChat, funded by the VisitScotland Growth Fund. “The future of Scottish tourism lies beyond our shores. From Beijing to Banchory, we are inspiring, supporting and encouraging businesses to match their global growth ambitions. “China is a hugely important emerging international market and this mission will provide our partners an excellent platform to speak directly to the top travel professionals in some of the country’s most valuable outbound regions.